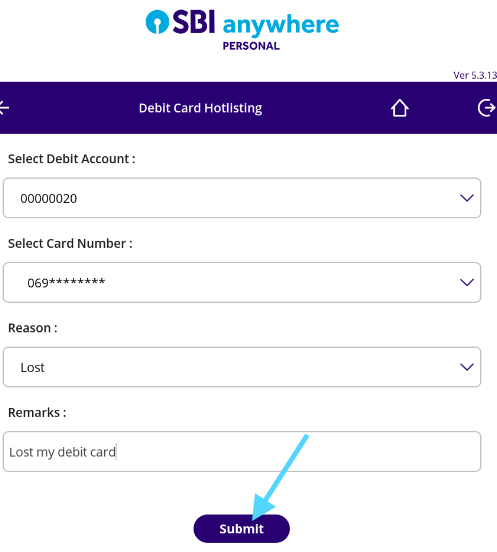 Have you lost your SBI ATM Card? Did you block it? Any person may get your lost ATM Card and misuse it. You may lose your hard earned money. SBI offers the best banking services in the public banking sector of India. The bank aims to satisfy its customers addressing their problems with convenient features. You need to block the lost ATM card before it falls into the wrong hands. SBI provides convenient options to block the ATM card. Without any previous knowledge or experience, any person can access the services and get their card blocked by self. Dial 1800112211 or 18004253800 from your mobile number. If you lost the ATM card in any other state or country dial 0091-8026599990 from your mobile number. Follow the IVR instructions and select the number to block the ATM card. After getting connected to the customer care executive, mention your request to block the lost card. You need to provide your account details as well as account holder's detail. After confirming your identification, the executive may ask you the reason for your request. The executive will provide you a reference number and the card will get blocked. Click on Compose Message on your mobile. Type the code 'BLOCK Last four digits of the ATM card number' and send it to 567676 from your registered mobile number. You will instantly receive a confirmation SMS from the bank about your request for blocking the ATM Card. Step 1: If you have access to internet banking, you can block the ATM Card by self. 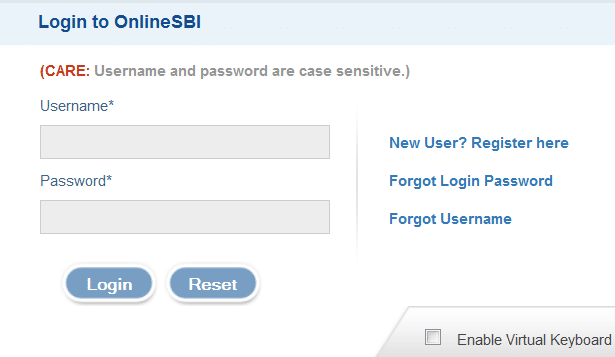 Login to your Net Banking account using your User ID and Password. Step 2: Select e-Services from the menu bar. 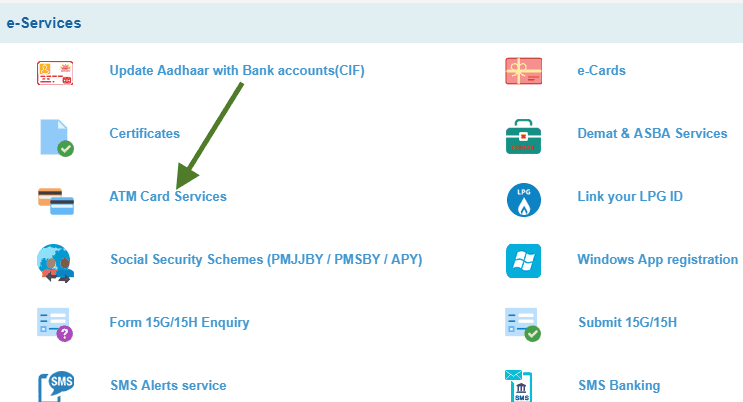 Step 3: Click on ATM Card Services from the list of services. Step 4: Move the mouse cursor to Block ATM Card link featured under ATM card services. Step 5: Now you need to select the account number and click the continue button. Step 6: Next you need to select the ATM Card number from the list if you use multiple cards linked to the same account. Choose the one reason to block debit card, lost or stolen and remarks the same and click the submit button. Again recheck all details and click the confirm button. Step 7: Select one of the two options, i.e. generate OTP or use Profile Password, to validate your request. 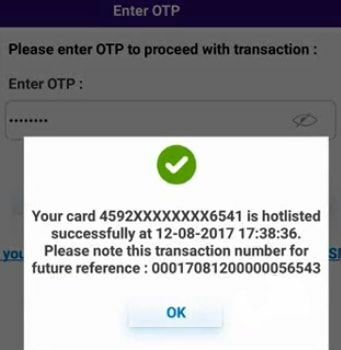 You either need to enter the OTP received on your registered mobile number or enter the Profile Password depending on your selection. After validation process, mention the reason for your request of blocking the ATM Card. Click on Confirm button to proceed ahead. You will receive a confirmation SMS stating successful acceptance of the request for blocking ATM card and the card will get blocked. You can note down the ticket number for future reference. Sending an e-mail you can also request to block the ATM Card. Click on Compose Mail and enter the ATM Card number and the reason of blocking the ATM card in the mail body. Send the mail to contactcentre@sbi.co.in. The card will get blocked and you will receive a confirmation message via mail or SMS. Open SBI Mingle App from SBI Official Facebook page. Login your account with your Application Password. Click on 'Block Debit/ATM Card' menu. Next, choose your account, the system will show the list of ATM Cards linked to it. You can block the card from this menu. 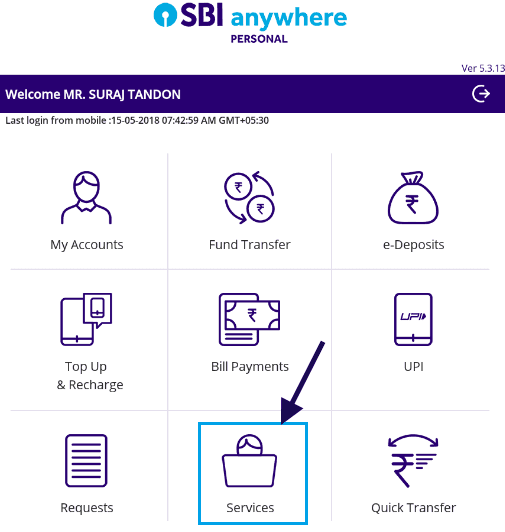 Step 1: Open SBI anywhere on your device. 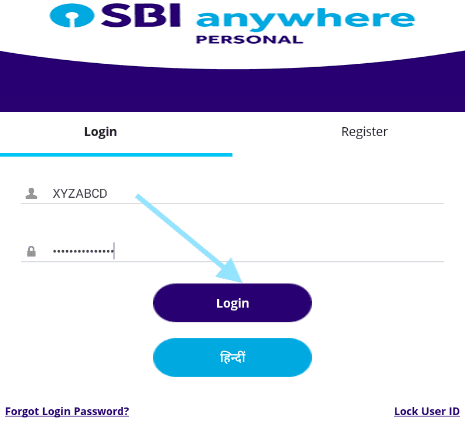 Login your account using net banking user id and password. Step 2: Next click on Services tab from a dashboard. 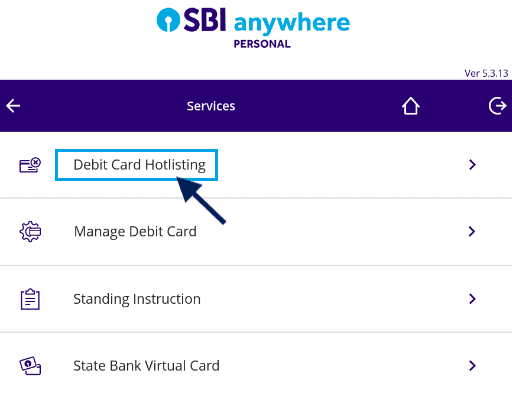 Step 3: Now you have to click on Debit card hotlisting option in next page. Step 4: Next Select your Debit Account and debit card number. Select lost in reason and Click the submit button. You need to confirm the same details on next page. Step 5: Now One-time password will be sent to your registered mobile number. Enter OTP and click the Submit button. Your debit card will be hotlisted successfully. You will get a confirmation message on your mobile number with a ticket number. If you find the above-mentioned options inconvenient, you can simply visit the nearest branch of SBI. Meet the accounts executive and request to block the ATM card. You may require providing your bank account details, card details as well as individual details. The executive may also provide a request form to block the ATM card. Fill up the form and mention the credentials as required. The executive will get the card blocked and you will receive a confirmation SMS about the same. SBI offers 7 ways to block SBI ATM/Debit card for its customers. You can select any of the options as would be convenient. You have access to Internet Banking, dialing customer care number, sending SMS or e-mail options round the clock while visiting the branch has certain limitations. Select the convenient option and get your lost ATM card blocked.